you want for your attendees! help you achieve your event goals. I’m Maggie Hunts and I earned the nickname Magical Maggie by using music, song and laughter to open-up audiences to keynote information so they take the right actions to accomplish my clients' objectives. The Magic Begins with a thumbnail description of your event goals. Because I know you’re busy, here's a link so you can cut-to-the chase and tell me about your event. I’ll get back to you within 24 hours (weekdays pls) with some great ideas to get you going. I promise! We can talk later. I’m a professionally trained singer, comic and salesperson whose journey includes a diagnosis of juvenile-onset diabetes at age 27 while living the American dream. I was blessed with a magnificent home, a beautiful family and an amazing career traveling the globe as an award-winning sales trainer for Intel. My near-death experiences with this chronic disease and the havoc it rained down on my family brought this life to an abrupt end. The incredible experience of the road back to brimming good health and happiness transformed me into an entrepreneur with a mission! My first book, It’s a Sweet Life NOW: a Guide to Living Well & Happy with Diabetes shares my story and remains the cherished companion to countless people with diabetes who turn to it again and again for the support they need to thrive. My newest book: Laugh Your Way to Healthy takes on the challenge of healthy lifestyle change and entertains readers while showing them how to develop the winning approach needed to succeed at ANYTHING. I offer you the ingredients for making happy people! Guess what? Happy people are PRODUCTIVE PEOPLE! Talk about a win-win! That’s the reward I’m talking about! But HOW to get attendees to open up so they make the changes needed to approach challenges triumphantly? Ahhhh! That’s where the magic comes in! Sir Arthur Clarke (authored the blockbuster film & book: 2001: A Space Odyssey) explained that ANY sufficiently advanced skill is indistinguishable from magic. So while my use of music and laughter may have the effect of magic -- it’s actually hard science. When I sing to your audience, my voice springs their brains into action. Music is one of the only arousals that activates, stimulates and uses the entire brain. My voice fires up their emotional, memory and motor centers. Not to mention lifts moods, increases focus and sparks inspiration! Music is the most powerful communicator known to humankind. 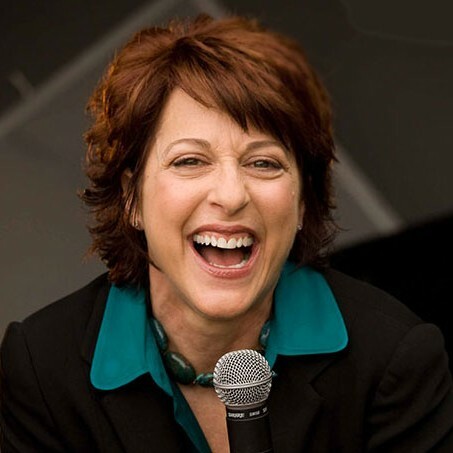 I train every week with one of the world’s most respected vocal instructors to constantly improve my voice and delivery so I can profoundly connect with your audience and draw them into our story. We compose the story together! You tell me what you want and I create custom lyrics and rhymes sung to unforgettable Broadway melodies assuring your attendees will be singing your message all the way home! When I make your audience laugh, a specific part of each person’s brain is stimulated called the limbic system. Laughter signals acceptance and positive reactions. That’s why I taught my salespeople both at Intel and AT&T that if you can get your prospect to laugh -- you’re in like Flynn! Hmmm . . . did I getcha to laugh yet? OK, back to your event . . . Humor is a pivotal motivator proven to increase attention, excitement and learning. Especially humor customized to tickle your audience’s UNIQUE funny bone. For example, I recently performed at a dinner honoring Texas State Auditors and the room was filled with CPA’s (Certified Public Accountants). I had them belly laughing by singing It’s Not Impossible to Find OUT Who Cooked the Books and joking about CPA's as Can’t Pass Arithmetic. What acronyms can I redefine to loosen up your audience so good information can get in? The Bottom Line? . . .
By the time I finish with your audience, their brains are SMOKIN! Smokin with YOUR Message! Ready to contact me? What’s your pleasure? If you’re really busy, fill in this short form here and I’ll get back to you within 24 hours (week days please). Visit MagicalMaggie.com for a one page overview including live performance videos. Twice awarded Intel’s highest Corp. Sales Training Award for curriculum development and presentation delivery earned by achieving the #1 sales course rating. Presented during Intel’s Worldwide Field Sales Conference events. "Key Player" Award, Intel Corporation. Honored for developing innovative methods to support and motivate worldwide sales teams. Selected for leadership team to redesign the divisional sales and marketing strategies. Harte Hanks Quiet Pride Award for excellence in sales performance and as a leader in team enthusiasm and motivation. ‘"Top Account Executive" Award, AT&T National Sales School. Opening Act, "Mary Tyler Moore Woman of the Year Award" presentation by the City of Hope. Find out more about Maggie Hunts at http://maggiehunts.com.